The demand within the global market for saline laxatives has been rising on account of key advancements in the pharmaceutical industry across the world. Saline laxatives are a pharmaceutical product that is essentially meant to relieve constipation and has become a popular remedy for patients who suffer from recurring constipation. The production of saline laxatives involves the use of milk of magnesia or magnesium hydroxide, and both of these substances are meant to clear constipation. Several other products such as bulk-forming laxatives and stool softeners are also used to treat constipation, but the effectiveness of saline laxatives in treating constipation has been approved by most practitioners. Owing to the aforementioned factors, the global market for saline laxatives is projected to expand at an astral CAGR in the years to come. Furthermore, this market is also anticipated to invite key revenues and investments from multiple sources over the forthcoming years. The global market for saline laxatives may be segmented on the basis of the following parameters: age group, route of administration, distribution channel, and region. Due to the direct relation between the market for saline laxatives and the pharmaceutical industry, it is essential to delve into the specifics of the aforementioned segments. A report on the global market for saline laxatives lays value on several forces that have supported the growth of the global market for saline laxatives over the past decade. 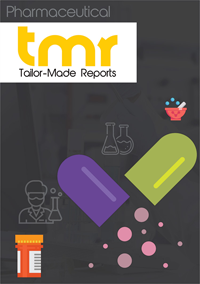 Furthermore, the forces that have led to the inflow of humongous revenues within the global saline laxatives market have also been elucidated in the report. Saline laxatives can be used by adults as well children in regulated amounts and have proved to be extremely effective in clearing constipation. This factor, coupled with the use of saline laxatives by pregnant women, has been at the helm of growth within the global market for saline laxatives. It is also true that the use of these laxatives by multiple population demographics has continually enhanced the growth prospects of the market vendors. Furthermore, the use of saline laxatives to treat constipation in pregnant women is also projected to play a key role in the growth of this market in the years to come. Furthermore, the sluggish and sedentary lifestyles of people have resulted in an increased incidence of constipation amongst the masses. This factor has also propelled demand within the global market for saline laxatives in recent times while attracting key investment from global entities. However, the use of saline laxatives is usually not recommended to aged persons because of the harshness of these laxatives for ageing bodies. This factor could act as a hindrance to the growth of the global market for saline laxatives in the years to come. The demand within the market for saline laxatives in North America has been rising on account of advancements in the pharmaceutical sector in the US and Canada. Furthermore, the presence of favourable reimbursement policies for pregnant women in the US has also generated demand within the market for saline laxatives in the region. Moreover, the extensive research initiatives that have offset for the development of effective laxatives in the US has also propelled regional market demand. Some of the key players in the global market for saline laxatives are Bayer AG, Beutlich Pharmaceuticals LLC, C.B. Fleet Company, Inc., Safeway Inc., Salix Pharmaceuticals, Supervalu Inc., Walgreen Co, and The Kroger Company.